There's a universal, human experience that binds and inspires us to accomplish greater things together, than we could alone. Long before the sun rises, the Clif Bar Pace team, led by Star and Darris Blackford, makes their way to the starting line of the Surf City Marathon. As the early morning cold sinks into everyone’s bones, they meet up with their runners, who they will be pacing — and who are undoubtedly asking themselves, "Why am I doing this again?" There’s a lot of nervous energy before every marathon. The average runner has put three to six months of work into training for their run. On the day of the event, anxiously standing at the starting line, they’re hoping it’s all going to pay off. Distance running, by its very nature, is a solo sport. But runners are still human beings and humans, by our very nature, are social creatures. 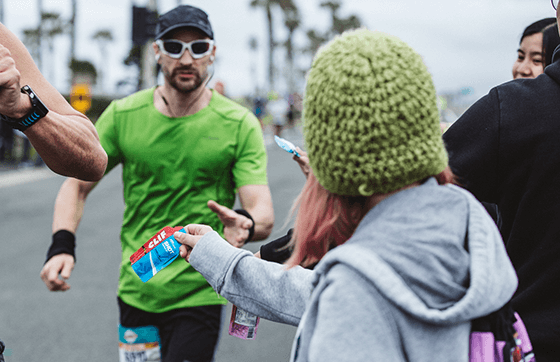 About 15 years ago, realizing the social nature of running, Clif Bar invested in a fresh idea — running as a team sport. The Clif Bar Pace Team was born. 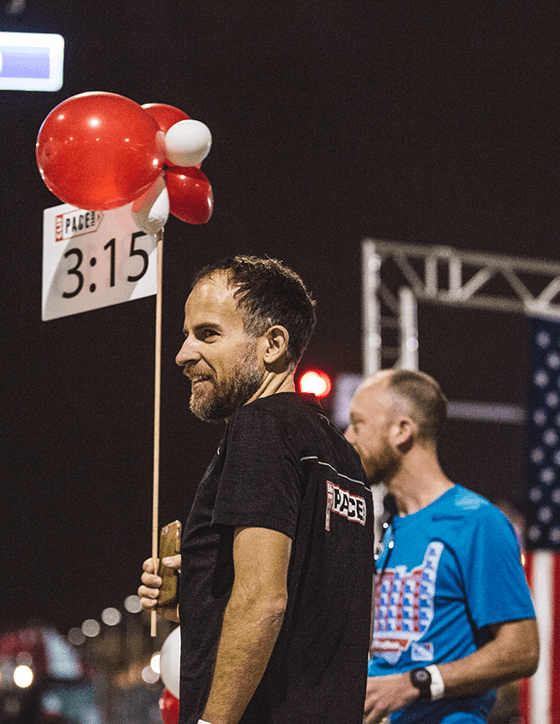 Clif Bar sponsors experienced distance runners to coach, mentor and, just as importantly, be a friend to aspiring distance runners from all levels of ability. 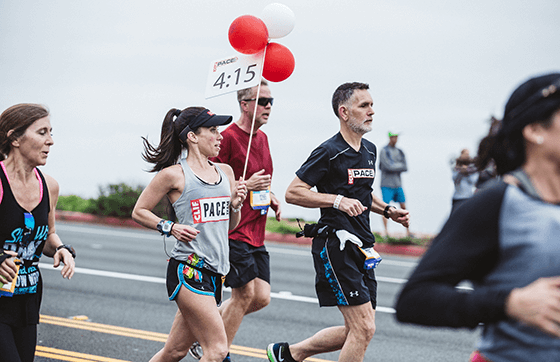 Whether you are going for a 3:10 or a 5:30, whether this is your first or your 50th marathon, the Pace Team’s mission is simple and straightforward — to share their passion and perspective and to help runners accomplish their goals. 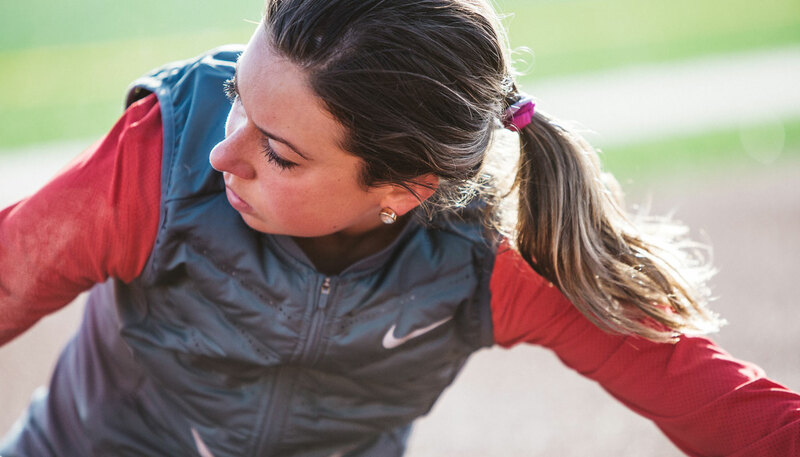 Running is simple, but the truth of the matter is that these longer events are a lot of work. The experience and confidence-inspiring support of pace leaders helps each individual runner feel a little bit less isolated. Realizing that we all share the same doubts and fears and being able to normalize those feelings ultimately enables runners to enhance each other’s performance and feed each other’s souls. The synergy of the Pace Team helps the distance runner put the challenges presented by the elements, mental barriers, fitness, endurance, injury, and the unexpected into fresh perspective — what seemed impossible starts to look doable. Darris and Star have witnessed what runners are capable of when they work together and form a team. It is so much more than what any one of those individuals thought that they were capable of. “Many runners will say — I couldn’t have done it without you.” Technically, Darris and Star do nothing but set a pace. But by being out there with them they allow runners to extend themselves into a different place where they’re not so afraid and they’re not so worried. They’re just enjoying the experience for what it is. And, while running is simple, human nature is complex. Runners come to the game with their own personality, history, physicality, motivations and expectations. Likewise, different leaders will have different approaches depending on their own personality and background, but the Pace Team goal is always the same — regardless of why a person has chosen to run their marathon, the Pace Team is dedicated to help them be better. Star and Darris play the role of team leader, taking care of those splits, watching the clock, and doing all of the number stuff. But the true synergy happens when all these different people start working together, when conversations start and personal bonds are formed. Sharing all the things runners have in common, wanting to be part of something bigger and seeing each other succeed is transformative. And that synergy can transform a runner’s marathon experience. 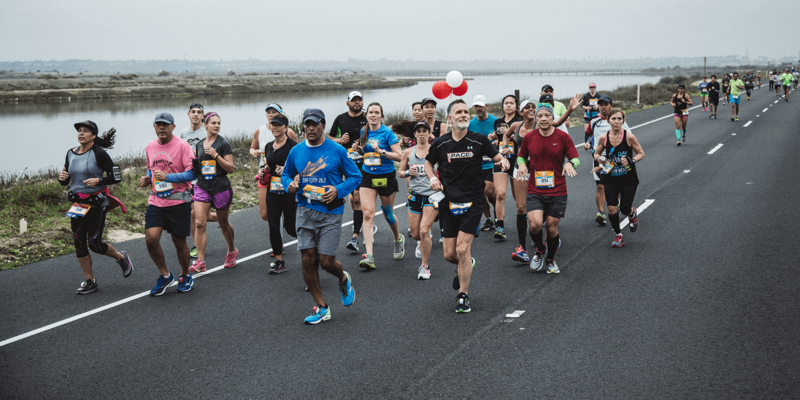 More than just keeping pace, pace leaders are there to help runners realize their own potential, to talk them through something, or to help each of them recognize that someone else in the group experienced the same thing that they’re going through. And ultimately they step out of the way and let them fly. They’ve done the work, persevered, gone the distance and learned something about themselves. That last mile is painful and fantastic.